Dust mites are microscopic bugs that inhabit various places in the home during all four seasons, even more so when it is hot and the humidity is high. They have eight hairy legs, a mouth and a hard shell, but no eyes or antennae. These tiny bugs are invisible to the human eye because they only measure 250 to 300 microns long and their bodies are transparent. The only way to catch a glimpse of a dust mite is with 10 times magnification. For food, dust mites feast off of the dead skin cells of people and the scales, or dander from pets. Therefore, dust mites primarily live in warm, moist areas where people and pets frequently use, such as beds, carpeted areas and furniture. Although the thought of these tiny creatures infesting a favorite lounging area can make anyone cringe, dust mites are not harmful to people or pets unless they are allergic to them. They produce lots of allergens. What Causes Dust Mite Allergens? Dust mites produce two allergens that many people are allergic to — the cast skins they shed, but mostly its feces. People shed 1/3 ounces of their skin weekly, while dogs and cats release far more dander, giving dust mites plenty to eat. 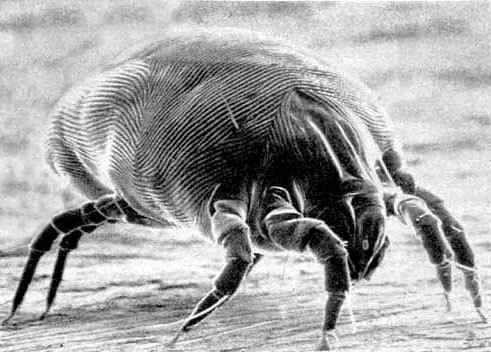 After eating, dust mites can produce more than 20 droppings a day. The feces contain a protein that gives most people allergic reactions, such as asthma attacks, hay fever, or a runny nose. The dust that collects around the house and floats in the air contains large amounts of dried dust mite feces, which has been tested and proven to cause people major allergic reactions. For those who do not have any allergies, a prolonged exposure to the feces containing the protein can make them develop sensitivities. One-third of life happens in bed. Therefore, beds are a favorite living spot for dust mites, especially when there is a human body on it to make it warm. Mattresses and pillows can contain massive amounts of dust mites and their feces. The inside of a used mattress can contain 100,000 to 10 million dust mites, while the dead bodies of dust mites and their droppings could easily account for 10 percent of the weight of a two-year-old pillow. 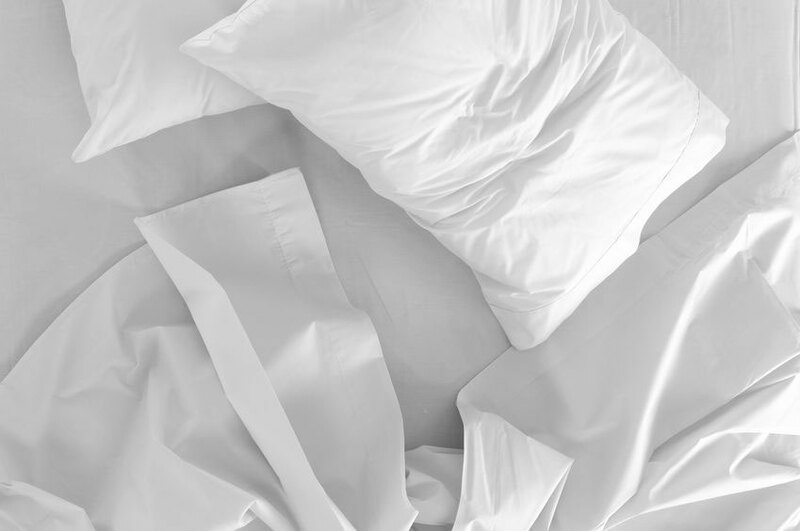 One of the simplest and effective options for protecting mattresses and pillows from a dust mite infestation is putting allergy bedding covers on the mattress, pillows and box springs. These covers are highly recommended by allergists. Allergy covers are designed to trap 99.95 percent of all dust mite allergens, pollen and pet dander, which will dramatically reduce allergic reactions, prevent inhaling dust mite feces and other allergens, and help allergy sufferers sleep better. Allergy bed covers are made with large openings and zippers so that it is easy to slip over pillows, comforters and mattresses and easy to take off when its time to wash them. These type of covers come and various hypo-allergenic and moisture-resistant fabrics to suit anyone’s comfort level. More on that later. When you have some more time you need to learn how to prevent dust mites and their allergens from taking over your home. Also here is an interesting article that tells us what “pore size” means when it comes to allergy bedding. Sleep tight and don’t let the bugs keep you awake tonight. What Does a Sinus Headache Feel Like?